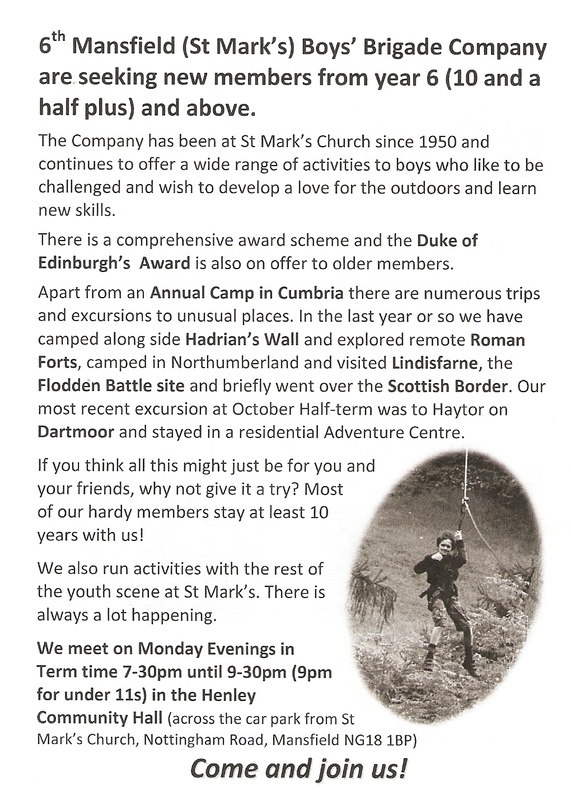 In a summer of drought, it beggars belief when St Mark’s Boys’ Brigade go to camp that they pick the week of torrential rains and high winds. From moving off the A1 onto Wensleydale it got darker and darker and sure enough the rains descended for 60 miles. Luckily it stopped as we arrived in Sedbergh, but the wind then got up causing some very anxious moments trying to put up the marquee, which at one point seemed likely to finish up floating over the village. In previous years we have had the help of the strong arms of past members well-schooled in getting tents up quickly, but due to new BB regulations were not called upon. The current leadership found the afternoon hard going. We did not have Graham Leaver, our experienced cook and helper with us due to ill health, but we did have Lee Clark his son-in-law as substitute. Lee proved to be a fine cook in spite of singed arms from the gas water boiler blowing back at him every time he tried to light it. In the end we gave up on it and had to boil water in pans. We also did not have the very big Marston’s lorry, which meant we had to hire a much smaller van and severely prune down our equipment. Our normal collection of substantial tents had to be substituted for the modern nylon variety, which require a degree in engineering to puzzle how to put them up- in a gale. We did not compromise however on the boys’ tents. The modern variety are not up to the Cumbrian excesses and whoever designs them have never lived in them. We had the benefit of Revd Rob Western, ex member, who lives in the village and did the Sunday service for us. He told us not to hold out for any good weather, which is all we wanted to hear. He also told us that there had not been any rain for 19 weeks and the farmers were feeding the sheep winter rations. The hills looked like a desert until a few days previously and how quickly they had greened up. In spite of all the gloom, we did all the walks planned, surprisingly not getting wet. 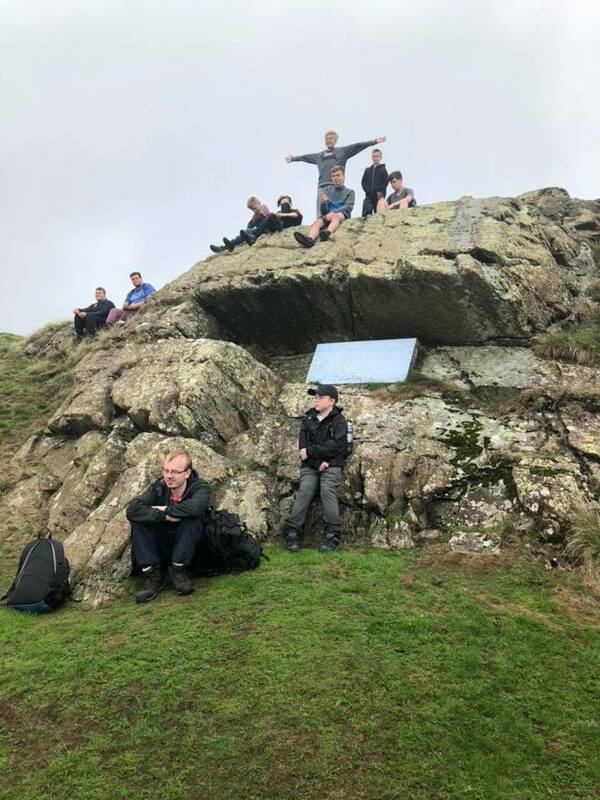 Our first walk was a gentle stroll to Fox’s Pulpit, a rocky outcrop where the founder of the Quaker movement, George Fox, used to preach to enormous crowds. The place is quite eerie now with leaning grave stones and windblown trees. For the new boys at camp, it was a real surprise on Tuesday afternoon when the cloud eventually lifted, and we were not fibbing about the camp being surrounded by hills. One of the highlights of simple pleasures was sliding down Yarlside mountain on jackets and waterproofs to excited pleas of could they do it again. The trip on Lake Windermere on the ferry to Lakeland Motor Museum was disappointingly wet but the return trip was more rewarding as the cloud had lifted and we could see the hills. There was a full-scale model of Donald Campbell’s Blue Bird and previous record holding speed boats and cars at the museum amongst other vehicles of nostalgia, but more for my era than the boys’. We will not go back there in a hurry. The boys sang our own brand of camp songs with vigour each evening and the atmosphere at camp was very good; we had no problems, and everyone seemed to get on well. When Lee had to go home on Thursday, Tristan Jones and David Boot stepped up and cooked for the next few days which was much appreciated. We tramped up Pen-y-Ghent hill on the Thursday as the forecast to the north and Sedbergh was dire and luckily, we did not get wet, but the heavens opened up on the way back although it did not stop us taking photographs of the boys with Ribbledale’s Railway viaduct in the background. We were graced by a number of visitors of various vintages who were either in the area on business or merely passing through, notably David Coss who exchanged his normal Firefighting job for repelling excessive water. All were made most welcome. Friday saw us travelling south down to Blackpool to the Pleasure Beach amusements, but we were met with notices saying that the promenade was closed due to giant waves and high winds. However, apart from some of the high rides being closed the boys thoroughly enjoyed the day. We were well rewarded on Saturday with good weather as we packed up, but the canvas was wet through and promised a lot of very hard work to dry it out. My thanks to the staff, Paul Henshaw, Lee Clark, Adam Shaw, David Boot, David Smith, Seniors Tristan Jones, Caleb White and Toby Govan. Particularly to Mark Evans the driver and all those whose generosity both from St Mark’s congregation and Civic contribution enables this camp to function for the benefit of local boys. Welcome home to our Boys’ Brigade from their latest camp. We are assured that a good and enjoyable time was had by all. 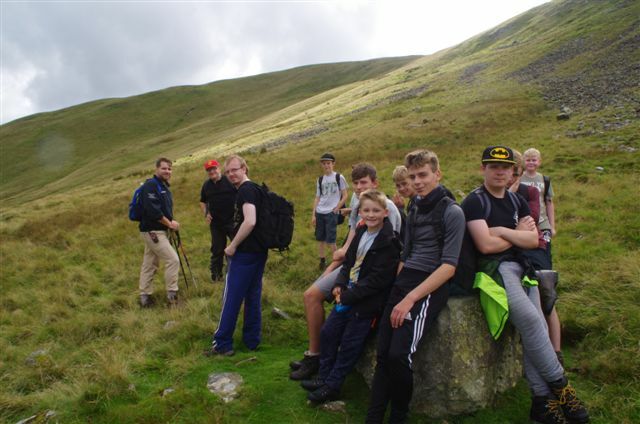 Our Boys’ Brigade are on their week-long camp near Sedbergh in Cumbria. They managed to set up camp in the dry on Saturday, but it rained heavily in the night (water getting into some tents) and part of Sunday. 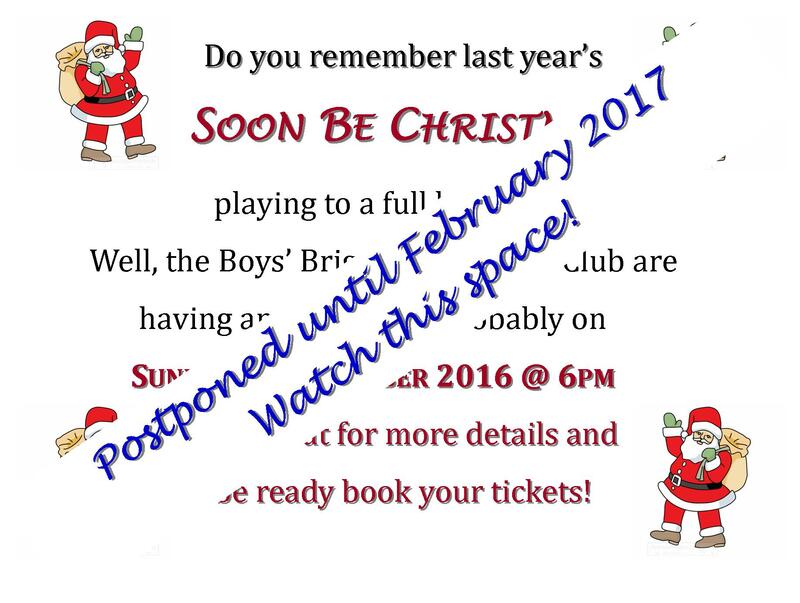 Our Boys’ Brigade go on their 2017 Annual Camp on Saturday 19th August. We pray the weather is kind to them and that everyone has a good annual camp. 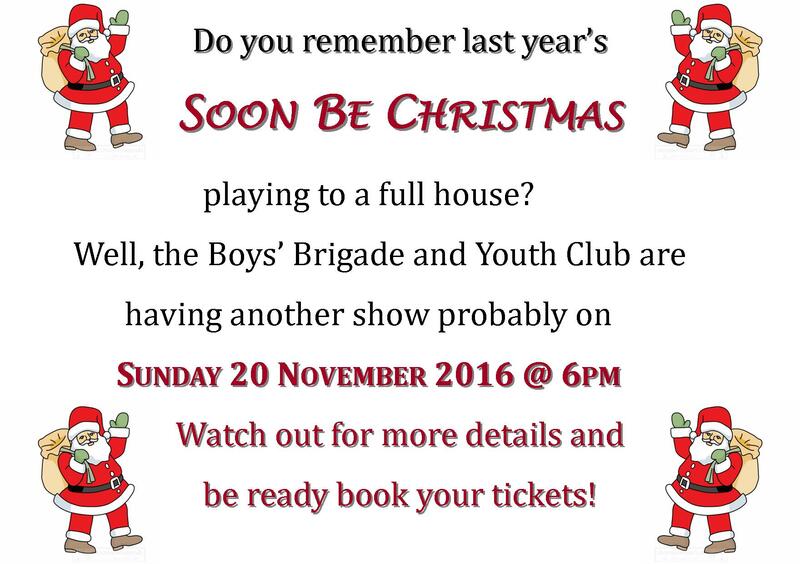 Our Boys’ Brigade go on their 2016 Annual Camp on Saturday 20th August. 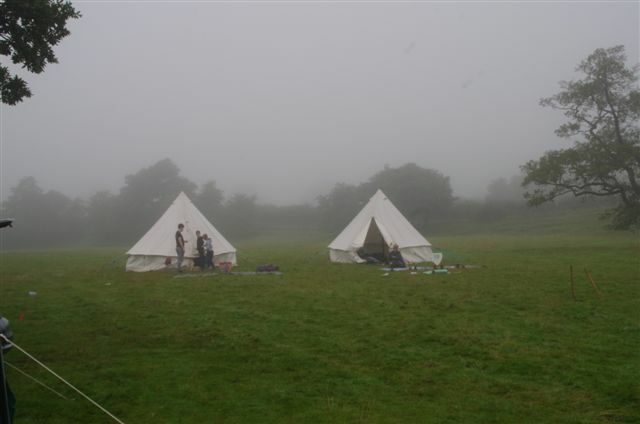 We hope the weather is kind to them and that everyone has a good annual camp.